In Unitari an Universalism, you can bring your whole self: your full identity, your questioning mind, your expansive heart. 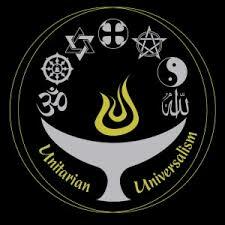 Unitarian Universalists believe more than one thing. We think for ourselves, and reflect together, about important questions like the existence of a Higher Power, Life and Death, Sacred Texts, Inspiration and Guidance, and Prayer and Spiritual Practices. We learn from a variety of beliefs and backgrounds: Atheist/Agnostic, Buddhist, Christian, Hindu, Humanist, Jewish, Muslim, Pagan, and more.